These are some of the findings of the sixth IoT Barometer, launched by Vodacom Business in Johannesburg. With responses from 1 758 businesses world-wide, the Barometer finds that more 34 percent of businesses now make use of IoT with 70 percent of these adopters having moved beyond pilot stage and 95 percent of adopters seeing the benefits of investment in the IoT technology as it moves into the mainstream. According to surveyors, a majority of businesses that use the technology agree that it has either disrupted their industry or will do so in the next five years. Peter Malebye, Managing Executive for Vodacom Business: IoT, said IoT was central to business success in an increasingly digitised world, with 72 percent of adopters saying digital transformation was impossible outside it. “In this climate, companies need to be considering not if but rather how they will implement IoT, and they must also be fully committed to the technology to capitalise on the positive value/outcomes enabled by IoT,” he said. The biggest embracers of IoT in South Africa are the automotive and mining industries, the executive said. 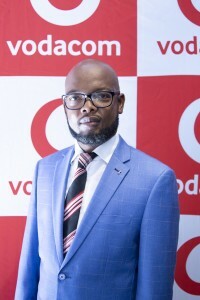 In Ekurhuleni, East of Johannesburg, Vodacom last year launched a citizen engagement mobile solution providing the municipality with a real-time, two-way communication engagement platform through which citizens can report and resolve service delivery issues. Vodacom recently developed the School Management Engagement App, an innovation seeks to improve administration, teaching and learning systems between the Department of Education and schools in the Eastern Cape Province. In the continent, its Connected Farmer solution is part of a process to digitise the agriculture value chain.